Ok, but what is BGP? Are you a BGP expert? 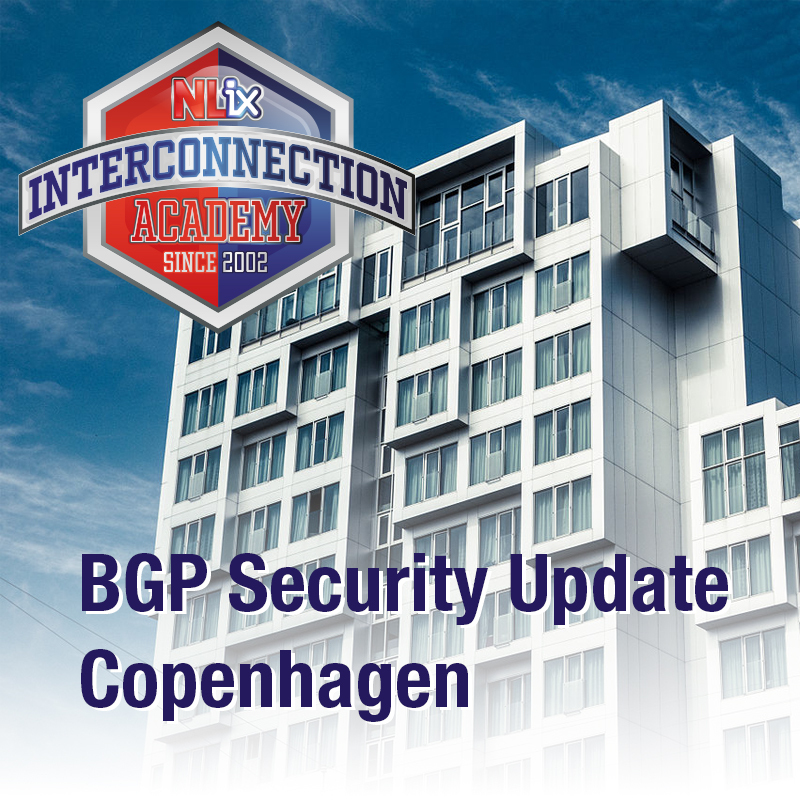 Several times a year I teach a training course about BGP in association with NL-ix. The course consists of a theory part in the morning and a practical part in the afternoon where the participants implement several assignments on a Cisco router or a VM running the Quagga routing software. Go to the NL-ix website for more information and to sign up. The location will be The Hague, Netherlands. If you have several people who can benefit from the BGP training course or an IPv6 training course, I can teach a course at your location, in Dutch or English. Please email me to discuss the details. How much bandwidth do I need? Always a hard question. It gets harder as you use more network links, and have to start considering what happens when one or more links fail, leaving you with reduced bandwidth. 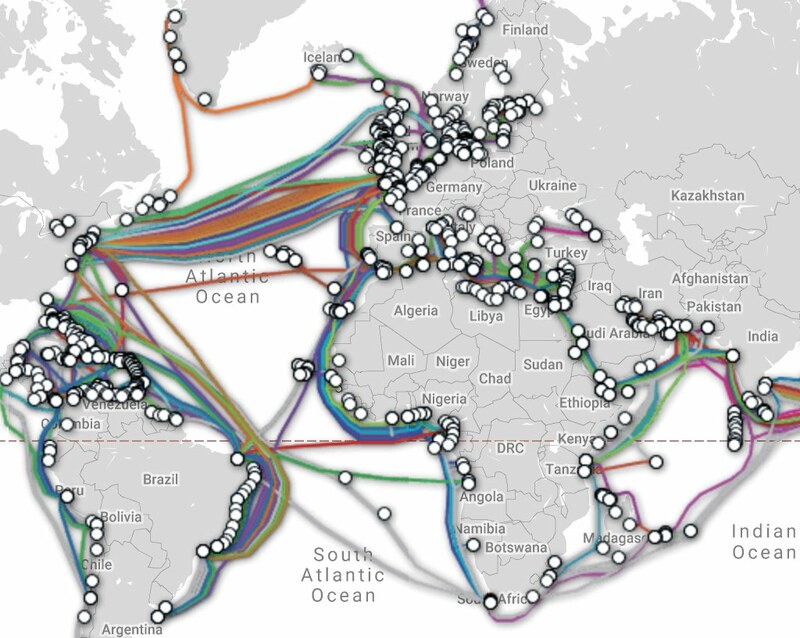 submarinecablemap.com - I just love looking at this stuff. My Books: "BGP" and "Running IPv6"
On this page you can find more information about my book "BGP". Or you can jump immediately to chapter 6, "Traffic Engineering", (approx. 150kB) that O'Reilly has put online as a sample chapter. Information about the Japanese translation can be found here. 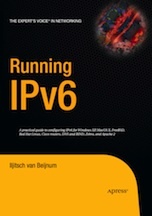 More information about my second book, "Running IPv6", is available here. BGP has some security holes. This sounds very bad, and of course it isn't good, but don't be overly alarmed. There are basically two problems: sessions can be hijacked, and it is possible to inject incorrect information into the BGP tables for someone who can either hijack a session or someone who has a legitimate BGP session. Session hijacking is hard to do for someone who can't see the TCP sequence number for the TCP session the BGP protocol runs over, and if there are good anti-spoofing filters it is even impossible. And of course using the TCP MD5 password option (RFC 2385) makes all of this nearly impossible even for someone who can sniff the BGP traffic. Nearly all ISPs filter BGP information from customers, so in most cases it isn't possible to successfully inject false information. However, filtering on peering sessions between ISPs isn't as widespread, although some networks do this. A rogue ISP could do some real damage here. Secure BGP (S-BGP) is developed by Bolt, Beranek and Newman (BBN). It has been around for several years and there is a proof-of-concept implementation. S-BGP tries to secure all aspects of the BGP protocol, and subsequently needs several signature checks for each BGP update, making the protocol relatively heavy-weight. You can see my earlier rants on S-BGP at the top of this page. Note that I'm not as anti-S-BGP as I used to be any more, although I still think implementing the protocol will be expensive because routers will need lots of extra memory (up to four times as much) and CPU power (possibly dedicated crypto hardware) and this aspect deserves some serious attention. Secure BGP (S-BGP) index at BBN. Secure Origin BGP (soBGP) has surfaced fairly recently and hails from Cisco. There are no implementations so far. soBGP mainly focusses on securing the relationship between prefixes and the source AS number, and doesn't need as many computationally expensive checks as S-BGP. However, the protocol can easily be expanded to perform more checks. There is now also a different approach to increasing BGP security using an "Interdomain Routing Validation" service that works independent from the BGP protocol itself. See what I wrote about this in interdomain routing news on this site, or jump immediately to the Working Around BGP: An Incremental Approach to Improving Security and Accuracy of Interdomain Routing paper. The IETF RPSEC (routing protocol security) working group is active in this area. BGPexpert.com is a website dedicated to Internet routing issues. What we want is for packets to find their way from one end of the globe to another, and make the jobs of the people that make this happen a little easier. Your host is Iljitsch van Beijnum. Feedback, comments, link requests... everything is welcome. You can read more about me here or email me at iljitsch@bgpexpert. or follow iljitsch on Twitter. Have a look at the "what is BGP" page. There is also a list of BGP and interdomain routing terms on this page. If you are not an ISP, your main reason to be interested in BGP will probably be to multihome. By connecting to two or more ISPs at the same time, you are "multihomed" and you no longer have to depend on a single ISP for your network connectivity. This sounds simple enough, but as always, there is a catch. For regular customers, it's the Internet Service Provider who makes sure the rest of the Internet knows where packets have to be sent to reach their customer. If you are multihomed, you can't let your ISP do this, because then you would have to depend on a single ISP again. This is where the BGP protocol comes in: this is the protocol used to carry this information from ISP to ISP. By announcing reachability information for your network to two ISPs, you can make sure everybody still knows how to reach you if one of those ISPs has an outage. Want to know more? Read A Look at Multihoming and BGP, an article about multihoming I wrote for the O'Reilly Network. For those of you interested in multihoming in IPv6 (which is pretty much impossible at the moment), have a look at the "IPv6 multihoming solutions" page. Are you a BGP expert? Take the test to find out! These questions are somewhat Cisco-centric. We now also have another set of questions and answers for self-study purposes. You are visiting bgpexpert.com over IPv4. Your address is 18.232.147.215.